Chen, D. T., Weeks, E. R., Crocker, J. C., Islam, M. F., Verma, R., Gruber, J., Levine, A. J., Lubensky, T. C., and Yodh, A. G., “Rheological microscopy: bulk and local properties from microrheology,” Phys. Rev. Lett. 90 (10): Art. No. 108301 (2003). Choi, H. and Chen , I-W. “Surface-modified silica colloid for diagnostic imaging,” J. Colloid Interf. Sci. , 282 , 435-37 (2003). 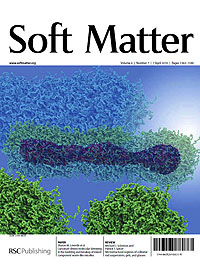 Dalhaimer, P., Bates, F. S. and Discher , D. E. “Single molecule visualization of stiffness-tunable, flow conforming worm micelles,” Macromolecules 36 : 6873-6877 (2003). Dalhaimer, P., Bates, F.S., Aranda-Espinoza, H. and Discher , D.E. “Synthetic cell elements from block copolymers – Hydrodynamic Aspects,” Comptes Rendus de d’Academie des Sciences – Serie IV Physique 4 : 251-258 (2003). Lau, A.W.C., Hoffman, B.D., Davies, A., Crocker , J.C. and Lubensky , T.C. 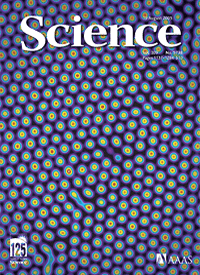 “Microrheology, stress fluctuations, and active behavior of living cells” Phys. Rev. Lett. 91, 198101/1-4 (2003). Lubensky , T.C. 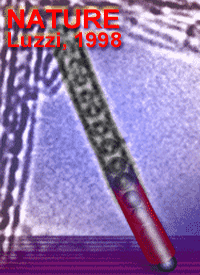 “Sliding phases: From DNA-lipid complexes to smectic metals, proceedings of TH2002,” Ann. Henri Poincare 4 , Suppl. 2, S683-S692 (2003). Mamchik, A. and Chen , I-W. “Large magnetoresistance in magnetically frustrated ruthenates,” Appl. Phys. Lett . 82  613-15 (2003). Ye., S., Strzalka, J., Chen, X., Moser, C.C., Dutton, P. L. and Blasie, J. K., “Assembly of a vectorially-oriented four-helix bundle at the air/water interface via directed electrostatic interactions,” Langmuir 19(5): 1515-1521 (2003). Yang, M. and Dai, H.-L., “Heterogeneous nucleation and wetting of water thin films on a metal surface: A study by optical second harmonic generation,” J. Chem. Phys., 118 (11) 5106-5114 (2003). 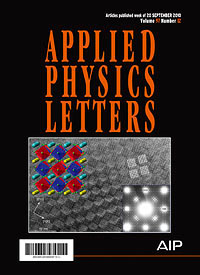 Ahmed, F., Popescu, A., Discher , D.E. and Discher, B.M. “Block copolymer assemblies with crosslink stabilization: from single component monolayers to bilayer blends with PEO-PLA,” Langmuir 19 , 6505-6511 (2003). Bermudez, H., Arada-Espinoza, H., Hammer , D.A. and Discher , D.E. 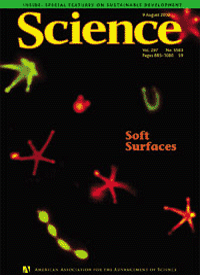 “Pore stability and dynamics in polymer membranes,” Europhysics Letters 64 :550-556 (2003). Bonnell , D. A. 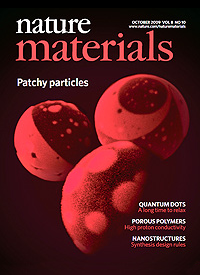 “ Materials in nanotechnology: new structures, new properties, new complexity,” J. Vac. Sci. and Technol. 21 , S194 (2003). Bonnell , D. A. and Shao, R. “Principles of basic and advanced scanning probe microscopy,” NATO ASI Series, Klewer Acad. Pub. (2003). Bonnell , D. A. and Shao, R. “Local phenomena/properties in complex materials,” Current Opinions in Solid State and Materials Science 7 , 161-171 (2003). Borisevich, A. and Davies, P. K “La(Li1/3Ti2/3)O3: a new 1:2 ordered perovskite” J. of Solid State Chemistry, 170 (1): 198-201 (2003). 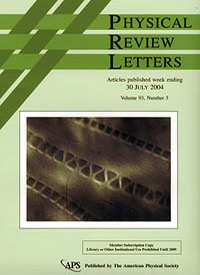 Calhoun, J. R., Kono, H., Lahr, S., Wang, W., DeGrado, W. F. and Saven, J. G., “Computational design and characterization of a monomeric helical dinuclear mettaloprotein, ” J. of Molecular Biology, in press (2003). Casalegno, M., Mella, M. and Rappe, A. M., “On the importance of Pulay’s term in computing forces with quantum Monte Carlo,” J. Chem. Phys. (under review) (2003). Chen , I.-W., Wang, L. and Davenport , A. “Accelerated precipitate coarsening due to a concomitant secondary phase transformation,” Acta Materialia , 51  1691 – 1703 (2003). 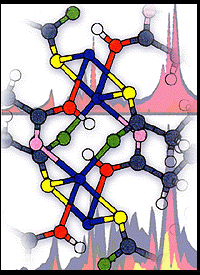 Cooper, V. R., Grinberg, I. and A. M. Rappe , A. M. “Extending first principles modeling with crystal chemistry: a bond-valence based classical potential,” AIP Conf. Proc. 677 , 220–30 (2003). DeGrado W.F., Di Costanzo, L., Geremia, S., Lombardi, A., Pavone, V., Randaccio, L. “Sliding helix and change of coordination geometry in a model di-MnII protein,” Angewandte Chemie. International Ed . 42 , 417-20 (2003). Discher, B.M., Koder, R.L., Moser, C.C., and Dutton, P.L. “Hydrophilic to amphiphilic design in redox protein maquettes,” Current Opinion in Chemical Biology 7 , (J. P. Richard and S. Mobashery , eds.) (6) 741-74, (2003). Farber, L. and Davies , P. K., “Influence of Cation Order on the Dielectric Properties of Pb(Mg 1/3 Nb 2/3 )O 3 – Pb(Sc 1/2 Nb 1/2 )O 3 (PMN-PSN) Relaxor Ferroelectrics,” Journal of the American Ceramic Society, 86(11), 1861-66 (2003). Feng, T., Barker, G. A. and Vohs, J. M., “Determination of active site densities on supported vanadia catalysts using gravimetric measurement of methanol uptake,” Langmuir 19 (4): 1268-1273 (2003). Fu, X., Kono, H. and Saven, J. G., “Probabilistic approach to the design of symmetric protein quaternary structures,” Protein Engineering, in press (2003). 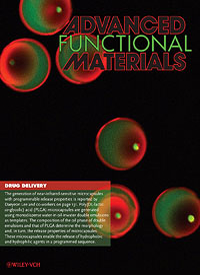 Fischer , J.E., Zhou, W., Vavro, J., Llaguno, M.C., Guthy, C., Haggenmueller, R., Casavant, M.J., Walters, D.E. and R. E. Smalley “Magnetically aligned single wall carbon nanotube films: preferred orientation and anisotropic transport properties,” J. Appl. Physics 93 , 2157 (2003). Getahun, Z., Huang, C-Y., Wang, T., León, B. D., DeGrado, W. F. and Gai, F., “Using nitrile-derivatized amino acids as infrared probes of local environment,” J. Am. Chem. Soc.125, 405-411 (2003). Gibney, B.R., Skalicky, J.J. Wand, A. J. and Dutton, P. L., “Determining the global topology of a dimeric protein maquette via redesign,” Submitted to: Protein Science 2003. Grinberg, I. and Rappe , A. M. “ Ab initio study of silver niobate,” AIP Conf. Proc. 677 , 130–8 (2003). 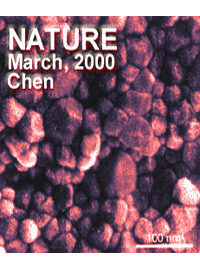 J Nanosci Nanotechno 3 (1-2): 105-110 FEB-APR (2003). Huang, C. Y., Wang, T. and Gai, F., “Temperature dependence of the CN stretching vibration of a nitrile-derivatized phenylalanine in water,” Chem. Phys. Lett. 371 (5-6): 731-738 (2003). Huang, S.S., Gibney, B.R, Stayrook, S.E., Dutton, P.L., and Lewis, M. “Crystal structure of a maquette scaffold,” In Press: J Mol. 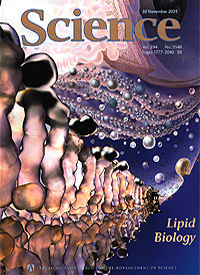 Biol., (2003). Juhás, P., Dmowski, W., Grinberg, I. , Egami, T., Rappe , A. M. and Davies , P. K. “Local Structure – Dielectric Properties Relations in the Pb(Sc 2/3 W 1/3 O 3 —Pb(Ti/Zr)O 3 Relaxors,” AIP Conf. Proc . 677, 108–18 (2003). Kane, C. L. and Mele, E. J., “The ratio problem in carbon nanotube fluorescence spectroscopy” Phys. Rev. Lett. 90 (20): Art. No. 207401(2003). Kauffman, R. and Rappe, A. M., “Vacancies below the (111) surface of Pd”, Phys. Rev. B 67 (8): Art. No. 085403 (2003). Lubensky, T. C., “Almost fluids: nematic elastomers and granular materials under shear flow,” J. Phys. (2003). Mele , E. and Kane , C. L. “Excitons in nanotube fluorescence spectroscopy,” Proceedings of the XVIIth Winterschool on the Electronic Properties of Novel lMaterials, AIP Proceedings Vol. 685 (J. Fink, H. Kuzmany, M. Mehring and S. Roth, ed.) 460-464 (2003). Milam, V.T., Hiddessen, A.L., Crocker , J. C., Graves , D. J. and Hammer, D.A. “DNA-driven assembly of bidisperse, micron-sized colloids,” Langmuir 19 (24); 10317-10323 (2003). Moser, C.C, Page., C.C., Cogdell, R.G., Barber, J., Rutherford, A.W., Wraight, C.A., and Dutton, P.L, “Length, time, and energy scales in photosystems. advances in protein: membrane structure, advances in protein science, Vol 63 . (D.C. Rees Ed) Academic Press, In Press: 2003. Noy, D. Moser, C. C., and Dutton, P.L., “Modeling (B)Chl proteins: syntheses 2 (Chapter 27),” In Chlorophylls, Kluwer Academic Publishers, Dordrecht, The Netherlands, (B. Grimm, R. Porra, W. Rüdige, & H. Scheer eds.). In press, 2003. Osyczka, A., Moser, C. C., Daldal, F and Dutton, P. L., “Reversible redox energy coupling in electron transfer chains, ” Nature, in press (2003). Papoian, G.A., DeGrado , W.F., Klein , M.L. “Probing the configurational space of a metalloprotein core: an ab initio molecular dynamics study of Duo Ferro 1 binuclear Zn cofactor,” J. A. C. S. 125 , 560-9, (2003). Pender, M. J., Forsthoefel, K. and Sneddon, L. G., “Molecular and polymeric precursors to boron carbide nanofibers, nanocylinders and nanoporous ceramics,” Pure and Applied Chem., 75 (9): 1287-1294 (2003). Pinto, N. J., Johnson , A. T., Jr., MacDiarmid, A.G. and Mueller, C. H. “Electrospun polyaniline/polyethylene oxide nanofiber field-effect transistor, Applied Physics Letters 83 , 4244 – 4246 (2003). Puerta, A. R., Remsen, E. E., Bradley, M. G., Sherwood, W. and Sneddon, L. G., “Synthesis and ceramic conversion reactions of 9-BBN-modified allylhydridopolycarbosilane: A new single-source precursor to boron-modified silicon carbide” Chem. Mater. In press. Pursell, D. P., Bocquet, M-L., Vohs, J. M. and Dai, H.-L., “Adsorption structure, energetics, and thermal reactions of vinyl chloride on Ag(111),” Surf. Sci. 522 (1-3): 90-104 (2003). Raugei, S. and Klein , M. L. “Nuclear quantum effects and hydrogen bonding in liquids,” J. A. C. S. 125 , 8992-8993 (2003). Redmore, N. P., Rubtsov, I. V. and Therien , M. J. “Synthesis, electronic structure, and electron transfer dynamnics of Aryl(ethynyl)-bridged donor-acceptor systems,” J. A. C. S . 125, 8769-8778 (2003). Rubtsov, V., Susumu, K. S., Rubtsov, G. I. and Therien, M. J., “Ultrafast singlet-excited state polarization in electronically asymmetric ethyne-bridged Bis[(porphinato)zinc(II)] Complexes, I.” J. Am. Chem. Soc. In press. 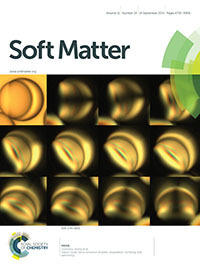 Saitta, A. M. and Klein , M. L. “Proton tunneling in fatty acid/soap crystals?” J. Chem. Phys . 118 , 1-3 (2003). Shao, R., S. Kalinin, A. and Bonnell, D. A., “Nano impedance microscopy and spectroscopy of semiconductors,” Appl. Phys. Lett. (2003). Topoglidis, E., Discher, B.M., Moser, C.C., Dutton , P.L. and Durrant, J.R. “Functionalizing nanocrystalline metal oxide electrodes with robust synthetic redox proteins,” ChemBioChem 4:12 1332-1339 (2003). Vohs , J. M., Feng, T., Wong, G. S. “Comparison of the reactivity of high-surface area, monolayer vanadia/ceria catalysts with vanadia/CE02(111) model systems,” Catalysis Today 85 , 303-309 (2003). Walsh, S.T., Cheng, R.P., Wright, W.W., Alonso, D.O., Daggett, V., Vanderkooi, J.M. and DeGrado , W.F. “The hydration of amides in helices; a comprehensive picture from molecular dynamics, IR, and NMR,” Protein Science 12 , 520-31 (2003). Wong, G. C., Lin, A., Tank, J.X., Li, Y, Janmey , P.A. and Safinya, C.R. “Lamellar phase of stacked two-dimensional rafts of actin filaments,” Phys. Rev. Lett. 91, 018103 (2003). Wong, G. S., Concepcion, M. R. and Vohs, J. M., “Reactivity of monolayer V2O5 films on TiO2(110) produced via the oxidation of vapor-deposited anadium, Surface Science 526 (3): 211-218 (2003). Xing, X.J., Mukhopadhyay, R., Lubensky , T.C. and Radzihovsky, L. “Fluctuating nematic elastomer membranes,” Phys. Rev. E , 021108/1-17, 68 (2003). Xiong, Q., Gupta,R., Adu, K. W., Sumanasekera, G. U., Dickey, E. C., Tham, D., Fischer , J. E. and Eklund , P. C. “Raman spectroscopy and structure of crystalline GaP nanowires,” J. Nanosci. Nanotech. 3, 1 (2003). Yang, M. and Dai-H.L., “Crystallization and premelting in thin films of weakly interacting molecules: A study of pyridine films on Ag by optical second harmonic generation, ” J. Phys. Chem. B, in press (2003). Yang, M. and Dai-H.L., “Determination of molecular ordering at a buried interface and the effect of interfacial ordering on thin film crystallization by second harmonic generation,” Langmuir, in press (2003). Ye, S., Strzalka, J., Chen, X., Moser, C.C., Dutton , P. L. and Blasie , J.K. “Assembly of a vectorially oriented four-helix bundle at the air/water Interface via directed electrostatic interactions,” Langmuir 19: 5 1515-1521 (2003). Yourdshahyan, Y.,. Kauffman, R. P., Grinberg, I. , Sai, N., Cooper, V. R., Mason, S. E. and Rappe , A. M. “Relating fundamental chemistry and smart materials with DFT calculations,” IEEE Transactions pp. 20–35 (2003). Zhang, Y., Omolola Eniola, A., Graves, D. J. and Hammer, D. A., “Specific adhesion of micron-sized colloids to surfaces mediated by hybridizing DNA chains,” Langmuir 19(17): 6905-6911(2003). Zhou, Y. X., Hone, J., Smith, W. F. and Johnson , A. T., Jr. “Simple fabrication of molecular circuits by shadow mask evaporation ” Nano Letters 3 , 1371 – 1374 (2003). Zou, J. and Saven, J. G., “Using self-consistent fields to bias Monte Carlo methods with applications to designing and sampling protein sequences,” J. Chem. Phys. 118 (8): 3843-3854 (2003). Chen , I-W., Shuba, R. A., Zenotchkine, M. Y. “Development of Togh Alpha-SiAlON,” Key Eng. Mater . 237 , 65-78 (2003). Davies , P. K., Borisevich, A. and Thirumal, M. “Communicating with Wireless Perovskites: Cation Order and Zinc Volatilization,” Journal of the European Ceramic Society 23 (14), 2461-66 (2003). 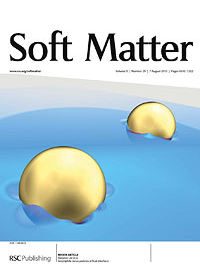 Dounce, S. M., Yang, M. and Dai, H.-L., “Surface state relaxation dynamics on Ag(110) probed by temperature dependent, resonantly enhanced second harmonic generation,” Phys. Rev. B 67 (20): Art. No. 205410 (2003). Du, F.M., Fischer, J.E., Winey, K.I. “ Coagulation method for preparing single-walled carbon nanotube/poly(methyl methacrylate) composites and their modulus, electrical conductivity, and thermal stability ” J Polym Sci Pol Phys 41 (24): 3333-3338 DEC 15 (2003). Gogotsi,Y., Nikitin, A., Ye, H., Zhou, W., Fischer, J. E., Ye, B., Foley, H. and Barsoum, M. “Nanoporous carbide-derived carbons with tuneable pore size,” Nature Materials 2, 591 (2003). Haggenmueller, R., Zhou, W., Fischer, J. E. and Winey, K. I., “Mechanical and structural investigation of highly aligned single-walled carbon nanotube polymer composites,” J. Nanoscience and Nanotechnology, in press. Kirkmeyer, B. P., Puetter, P. R., Yahil, A. and Winey, K. I., “Ionomer morphologies: Deconvolution of STEM images,” J. Polym. Sci. : Polym. Phys., in press. Taubert, A., Wind, J.D., Paul, D.R., Koros, W.J., Winey , K.I. 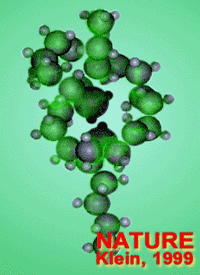 “ Novel polyimide ionomers: CO2 plasticization, morphology, and ion distribution ,” Polymer 44 (6): 1881-1892 MAR (2003). Wang, L., Tien, T-Y. and Chen , I-W. “Formation of beta silicon nitride crystals from (Si,Al,Mg,Y)-(O,N) Liquid-I. phase, composition and shape evolutions,” J. Am. Ceram. Soc . 86  1578-85 (2003). Wang, L., Tien, T-Y and Chen , I-W. “Formation of beta silicon nitride crystals from (Si,Al,Mg,Y)-(O,N) Liquid- II. Population dynamics and coarsening kinetics,” J. Am. Ceram. Soc. 86 1586-91 (2003). Zenotchkine, M., Shuba, R. and Chen , I.-W. “Effect of seeding on the microstructure and mechanical properties of a -SiAlON: III. Comparison of modifying cations,” J. Am. Ceram. Soc . 86  1168-75 (2003). Zhang, Y., Omolola Eniola, A., Graves , D.J. and Hammer, D.A. “ Specific adhesion of micron-sized colloids to surfaces mediated by hybridizing DNA chains,” Langmuir 19 (17): 6905-6911 (2003 ). Zheng, S., Strzalka, J., Jones, D.H., Opella, S.J. and Blasie , J.K. “Comparative structural studies of Vpu peptides in phospholipid monolayers by X-ray scattering,” Biophys. J. 84 (4): 2393-2415 (2003).